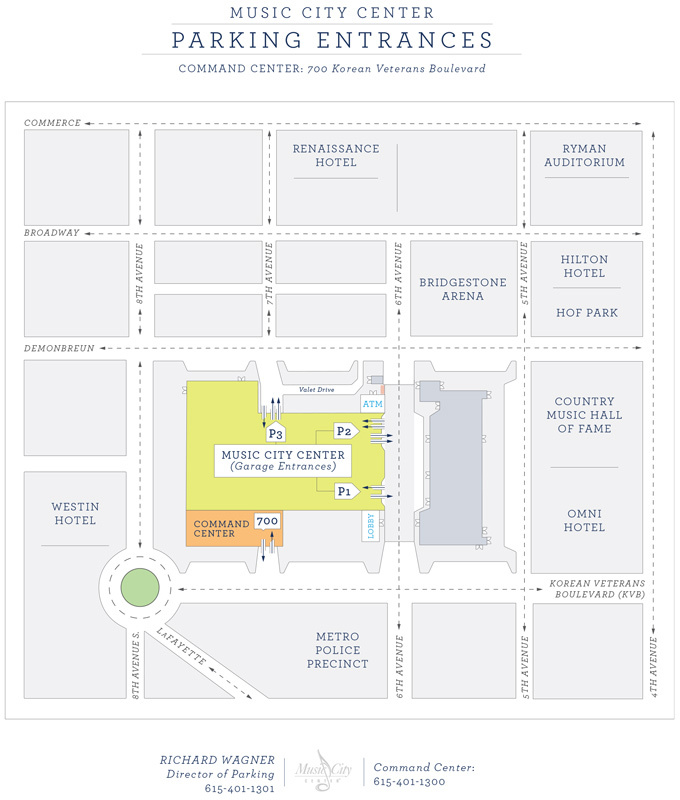 The Music City Center is home to the largest, covered parking garage in downtown Nashville and with our reasonable rates and 24-hour roving security, it’s the best place to park in downtown. Our three-level, covered parking garage has 1,800 spaces and is equipped with a 24/7 fully-automated system that accepts debit and credit cards upon exit. 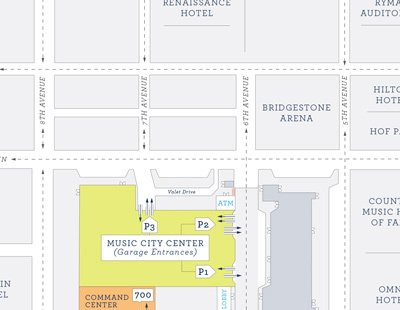 Our garage is located on 6th Avenue and Demonbreun, directly across from the south entrance to Bridgestone Arena. There are three entrances to the garage: one on 7th Avenue and Demonbreun and two on 6th Avenue between Demonbreun and Korean Veterans Boulevard. The Music City Center is not accepting applications for monthly parkers at this time. If you are a current monthly parker, click the button below to log into your ePark account. 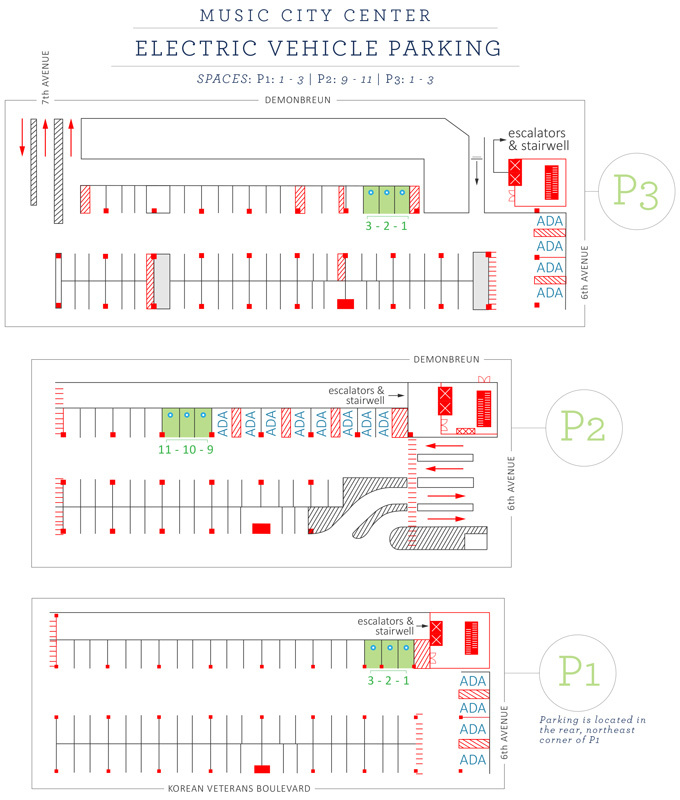 For questions regarding your monthly parking, please email contractedparking@nashvillemcc.com or call Sharon Farrell at 615-401-1438. 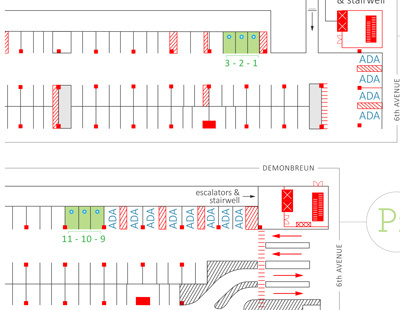 Handicap Parking is available in the MCC parking garage on a first-come, first-serve basis and is located on all three levels next to the elevators.